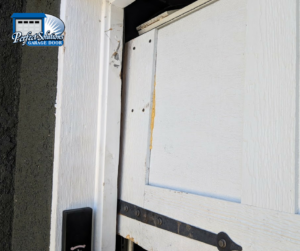 Our client, Rachel, pulled out of her garage one morning in Granite Bay, CA a little bit before her garage door was fully open. We’re guessing she hadn’t finished her first cup of coffee yet. 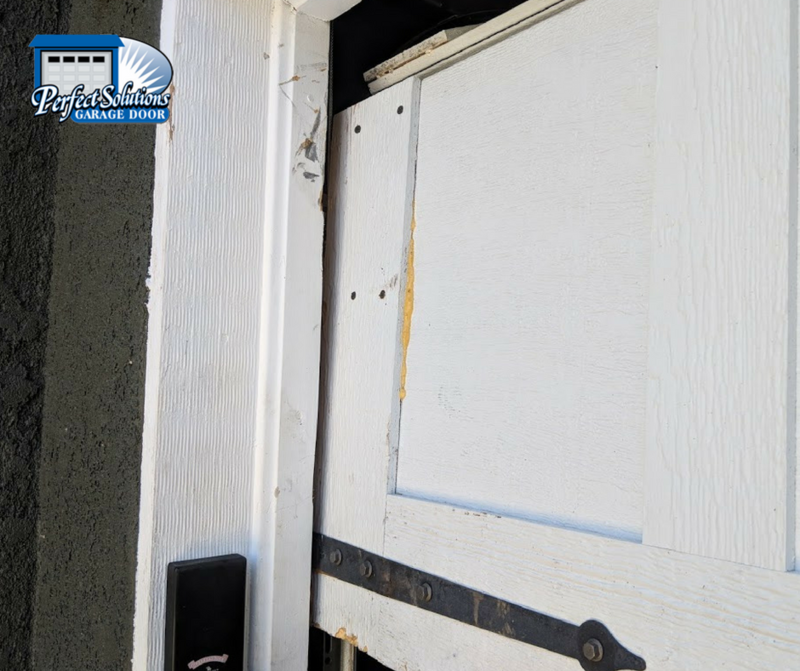 This is a common garage door accident and isn’t that challenging to repair. However, if you’re like Rachel and have very nice, brand new carriage house style garage doors, the accident and repair is a bit painful. The good news for Rachel is that only one panel was damaged in this accident. And since the door is new and therefore, being manufactured, we were able to order one new panel. This option is much more affordable than getting a whole new door. It’s also the greener option since swapping out a panel is less wasteful than a brand new door. 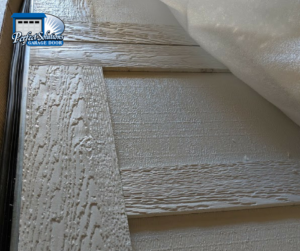 Many people opt to replacing or swapping out a garage door panel as a way to upgrade their garage door. A common upgrade is swapping out the top panel of a garage door with a panel that has decorative windows. This can help add some light into the garage, and some style as well. Once we got the new panel ordered, we came out to remove the old panel and install the new one. Now the door is back to looking brand new! 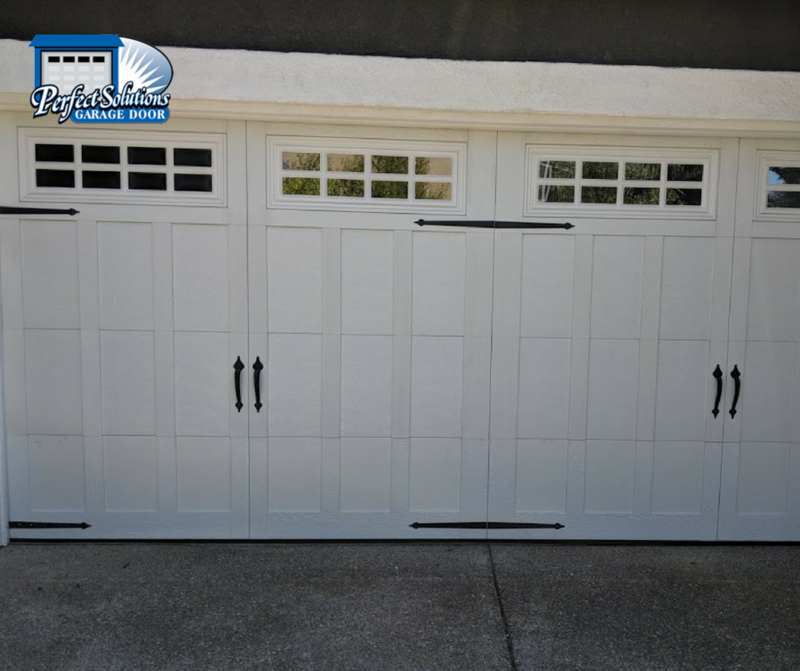 Rachel’s garage door is beautiful, and includes decorative hardware and a beautiful panel of windows! 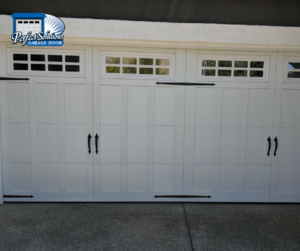 If you have a dent in a garage door panel and want to see about repairing or replacing it, give Perfect Solutions a call if you’re in Granite Bay, Roseville, Rocklin, Lincoln or surrounding areas. We have a lot of experience in panel and garage door accident repair and can find a solution that fits your budget as well as your look! This entry was posted in Blog, Garage Door Repair and tagged carriage house style garage door repair, panel repair, panel replacement. Bookmark the permalink.